I would like to preface by saying how pumped I was when we got tickets to see Suicide Squad. Growing up watching Batman cartoons I’ve always had a soft spot for DC Comics. I went into the theater fully geeked out hoping that the movie would live up to my expectations. Sadly, it did not. Don’t get me wrong, I think they did a great job of casting each character. Margot Robbie as Harley Quinn? Excellent. Will Smith as Deadshot? Brilliant. My problem with the movie stemmed from The Joker. Do I think Jared Leto did a good job of portraying a psychotic killer? Absolutely. The hair…the wardrobe...the laugh, scary good. The toxic, abusive relationship with Harley Quinn – not so good. Maybe if I wasn’t a mother to a preteen girl I would view the Joker in a different light, but throughout the whole movie I couldn’t help but think what a terrible message it was sending to young impressionable girls out there. 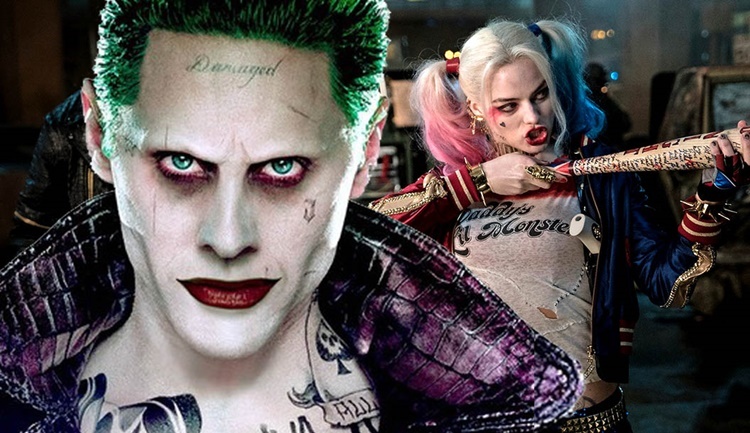 I cringed every time I saw Joker and Harley together, not because of their performance, but because the movie was trying to play this abusive relationship off as a love story. And let me tell you, a love story it is not. The Joker: Listen, you are my gift to this handsome honka honka! You belong to him now. Harley Quinn: [barks and laughs] Ooh, you're cute! You want me? I'm all yours. Monster T: I don't want no beef. The Joker: You don't want no beef? The Joker: Don't want no beef? Don't want no beef? Harley Quinn: What's wrong? You don't like me? Fine! Don't waste my time then. Monster T: This your lady. The Joker: Are you enjoying yourself? Monster T: No. That's your lady, Joker. Little things like this made me feel a disdain for the Joker and start to loath a character I grew up watching, first with Jack Nicholson and later as an adult with Heath Ledger - both who did an excellent job of playing our beloved maniacal villain, might I add. This Joker is different. He’s manipulative, abusive, and much darker than the other portrayals. This might've been fine if the movie wasn’t rated PG-13. That basically means everyone can watch it, including kids and teenagers and the rating system only finds some of the material to be inappropriate for anyone under 13, which actually might be the bigger issue I see with the movie. Granted, the movie was supposed to be rated R, but the studios decided they would make more money especially with the popularity of Harley Quinn and changed the rating, so a lot of scenes involving the two had to be cut from the film, but what’s left is remnants of an abusive relationship that left a serious distaste in my mouth. The final straw for me involved a scene where the Joker asks Harley if she loves him. If she would die for him, and she says “yes” and jumps into a tank of acid. He watches her struggling for a few seconds before taking a leap himself and they both kiss like it’s some huge romantic gesture. Meanwhile, I feel like throwing up in my mouth. What. Is. Happening?! What kind of example is this for our kids? Look, I’m not one to think that actors, movies, singers, or reality stars should be the moral compass for our children. In fact, I think we as parents have to be example and teach them to have self-respect and self-worth, but I also think we shouldn’t be naïve to know that things like this influence our children, whether we like it or not. Harley Quinn is expected to be the #1 selling costume this Halloween and as much I think her outfit is cute and laugh at her sassy personality, I can’t help but think of what she stands for. The girlfriend of a violent criminal, modeling herself to look and act like him because she thinks that’s what he wants and above all, wants to please him no matter what. Let’s face it - Harley is a great character, but she’s a horrible role model. And as far as the Joker, well I don’t find anything funny about him to be honest.